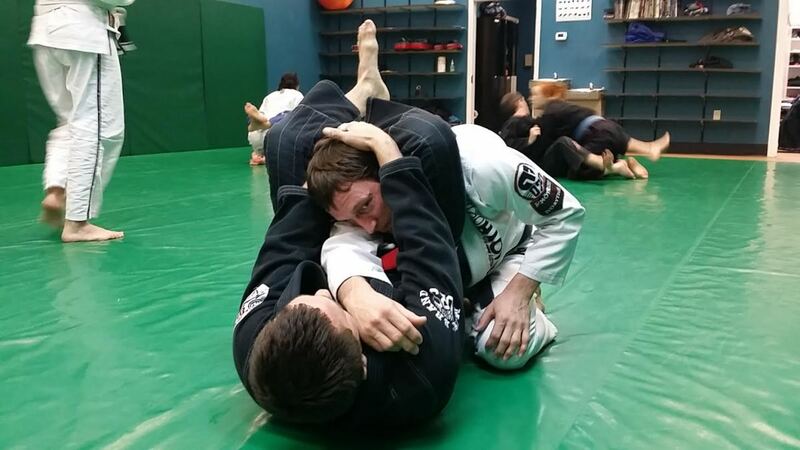 Andrew Smith is a 3rd degree BJJ black belt based out of Revolution BJJ in Richmond, VA. 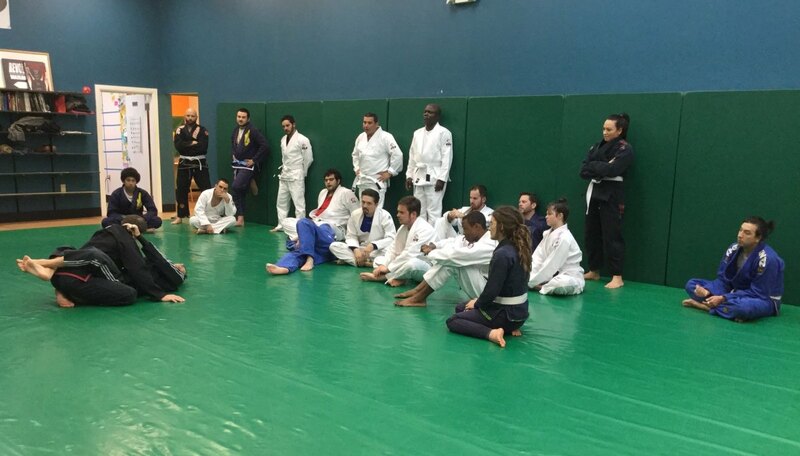 He has created an encyclopedia of Brazilian Jiu Jitsu tutorials anyone can learn from, and a comprehensive system for learning based from the tutorials. A quick video tutorial on "deep De la Riva guard" in Brazilian Jiu Jitsu. A brief tutorial on how to take the back from turtle in BJJ. A brief tutorial on how to pass the guard using the double unders method. 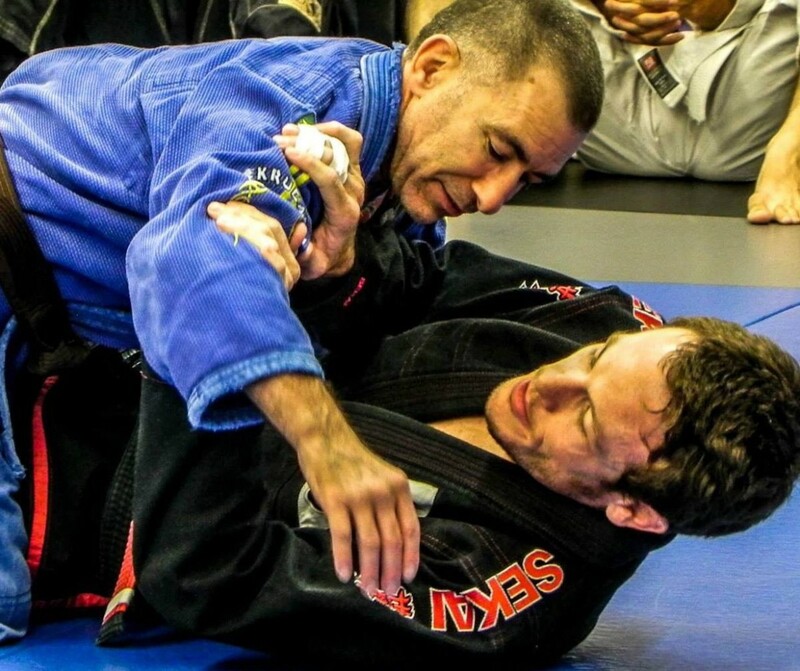 This article will be a brief tutorial on the concept of the "yogafoot" for BJJ, including a breakdown of the mechanics of the move and various examples of situations in which to use it. A brief tutorial on how to flatten and control your partner while passing the half guard, utilizing the crossface. How to do an overhead sweep for BJJ, especially starting in De La Riva guard or closed guard. A quick tutorial on how to finish the armbar (from the "armbar finish position") using the "pocket grip." 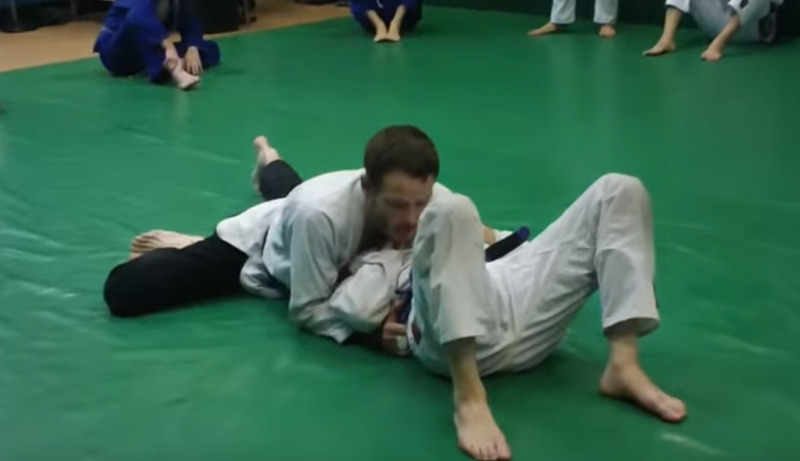 How to finish an armbar by maintaining the position in the first place. 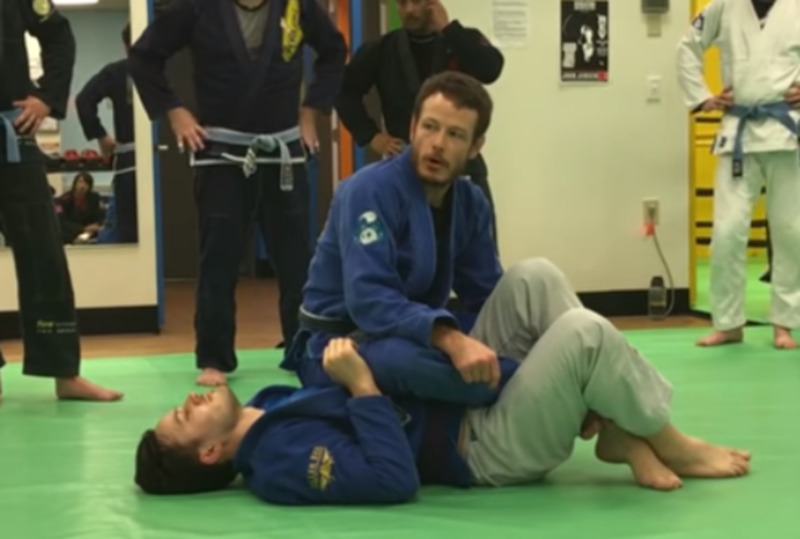 A quick tutorial on defending the armlock from the back in Brazilian Jiu-Jitsu. 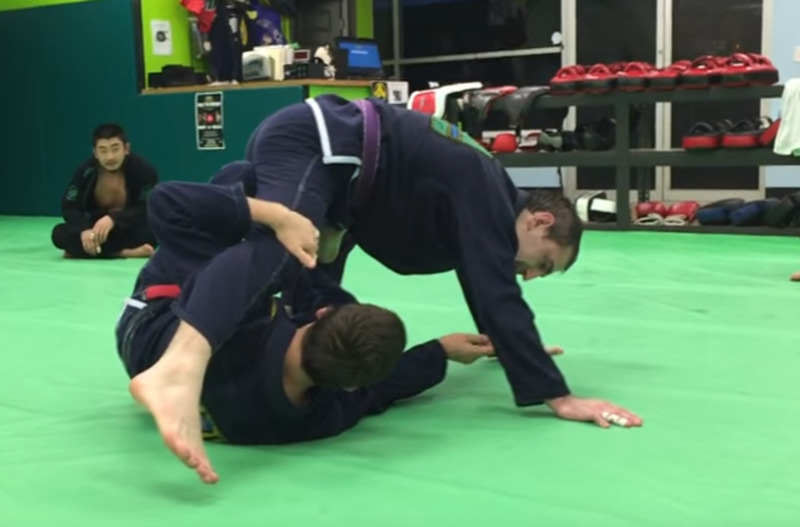 A brief BJJ tutorial on how to defend the single leg takedown. A brief tutorial on how to defend against a cross choke (or hand in the collar) from closed guard. 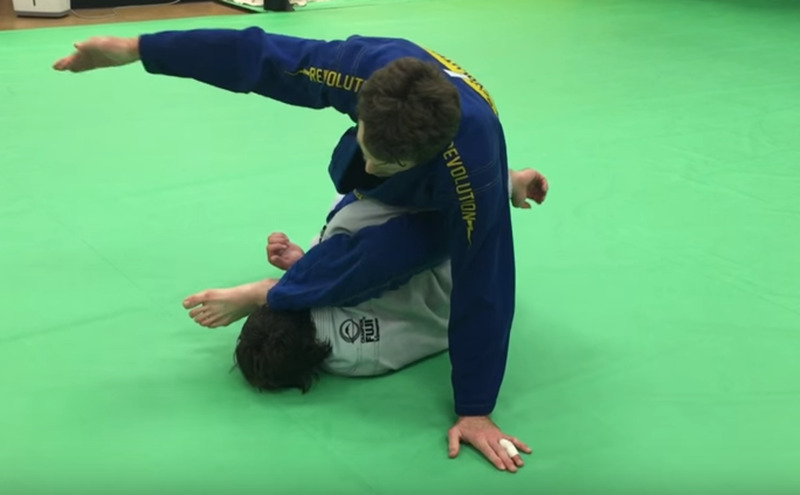 How to do a bridge-and-roll escape from side control. A brief tutorial on how to deal with scissor half guard in sport Brazilian Jiu Jitsu training. 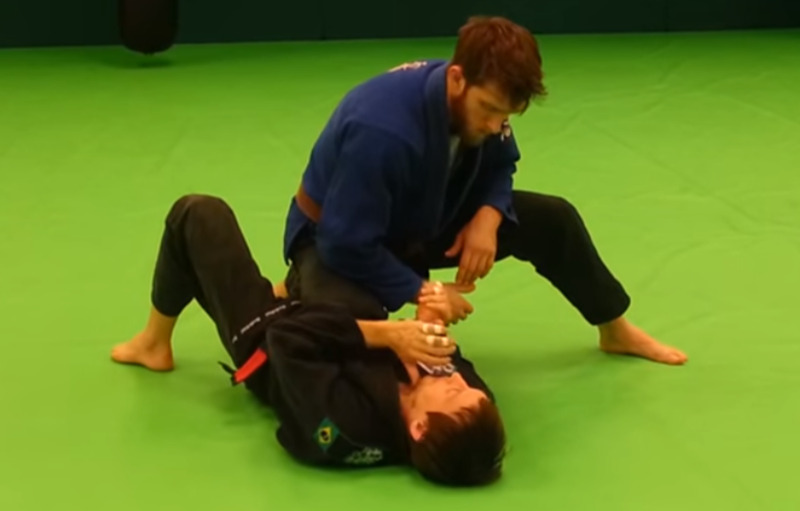 A brief tutorial on how to do the brabo choke from the knee cut guard pass. 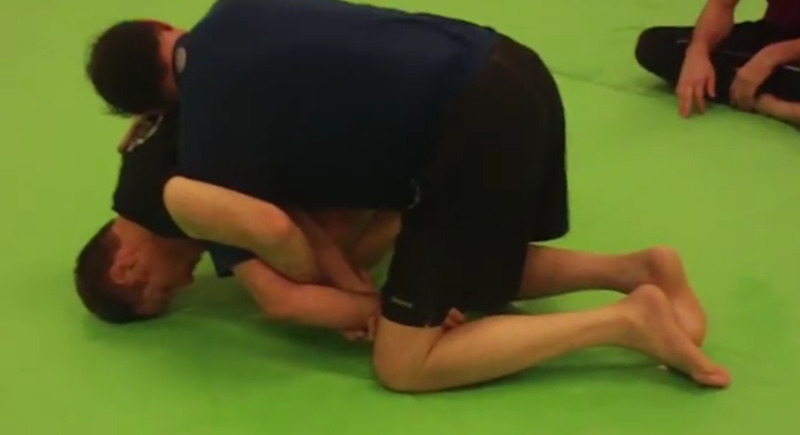 A brief tutorial on how to set up a triangle choke from a hip bump sweep. 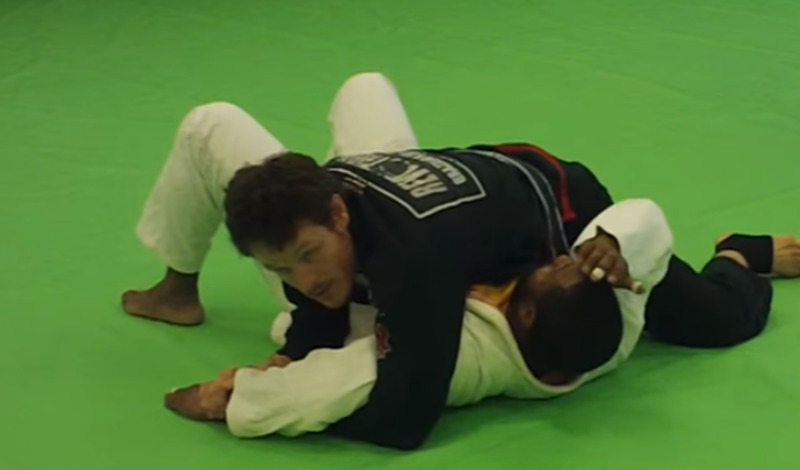 How to get the guard open using biceps control and standing up, sometimes called the "logsplitter" guard opening. A brief tutorial on how to control someone's posture while they are in your closed guard. 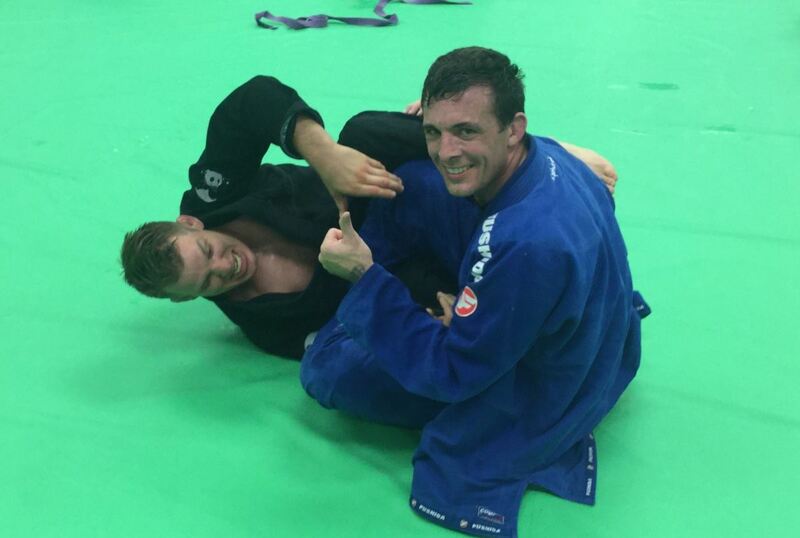 A brief tutorial on how to take the back from side control in BJJ! 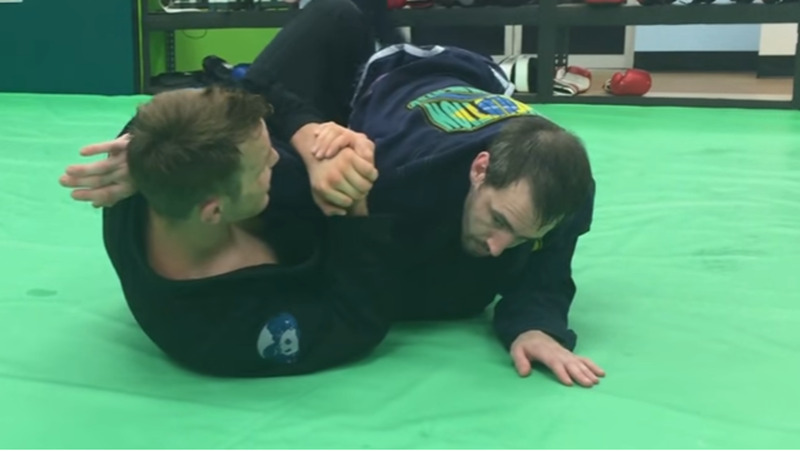 A brief explanation on how to do the arm drag from butterfly guard, plus some modifications. A brief tutorial on how to escape side control in BJJ, including some brainstorming for different directions. 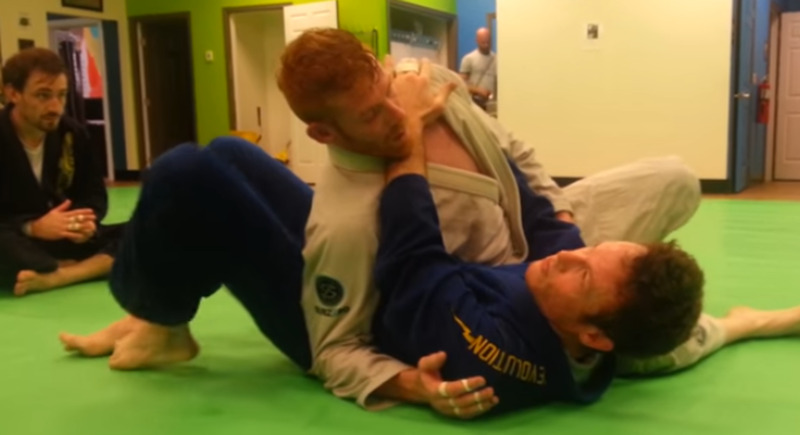 A brief how-to on the BJJ Ezekiel Choke. A brief tutorial on some interesting conceptual variations on the "duck under" technique, adapted from amateur wrestling and utilized in jiu-jitsu. A brief tutorial on how to "dig out" the Kimura against an unwilling opponent. A brief tutorial on how to do the "loop choke" in Brazilian Jiu-Jitsu, including some variations. A brief BJJ tutorial on how to take the back when you're on the bottom, but have your partner in your half guard. A brief BJJ tutorial on the "cheap sweep", a.k.a. the easiest sweep in all of BJJ. 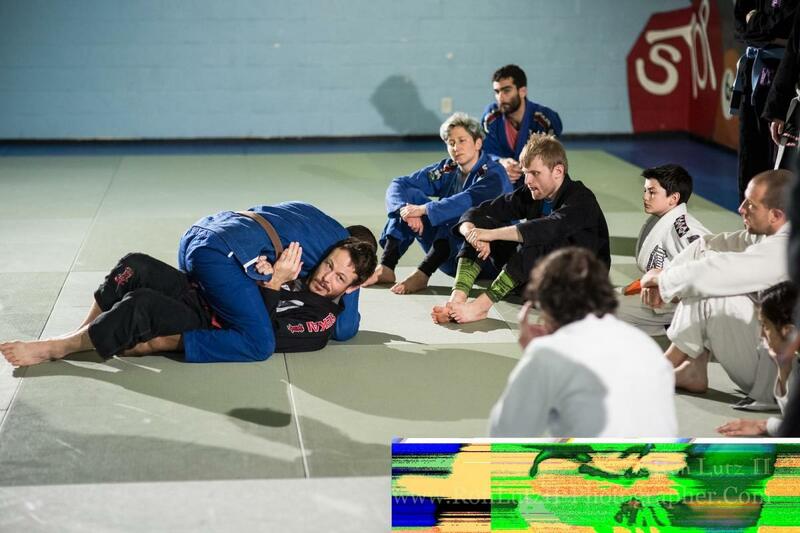 A brief tutorial on the straight ankle lock, a.k.a. 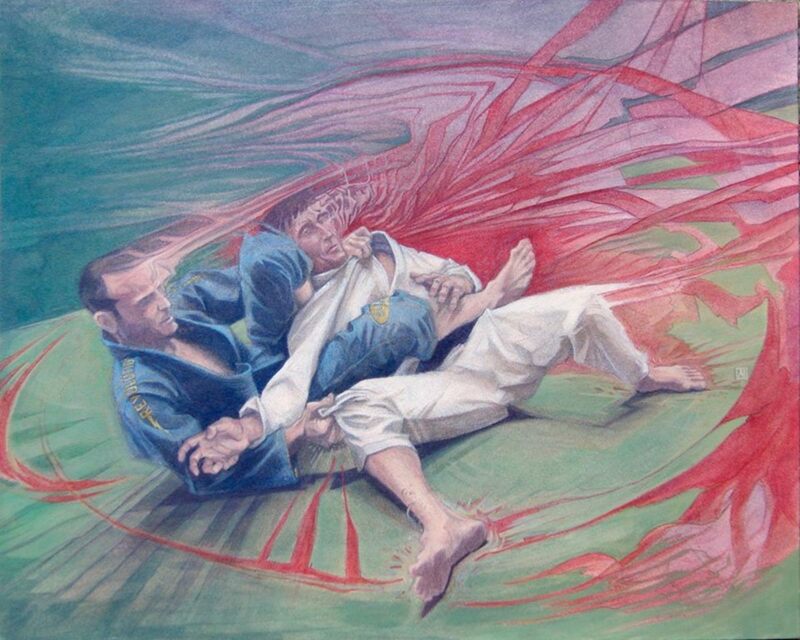 "footlock", for sport BJJ competition. A brief tutorial on how to control the inside arm (preventing escapes) from side control in BJJ. 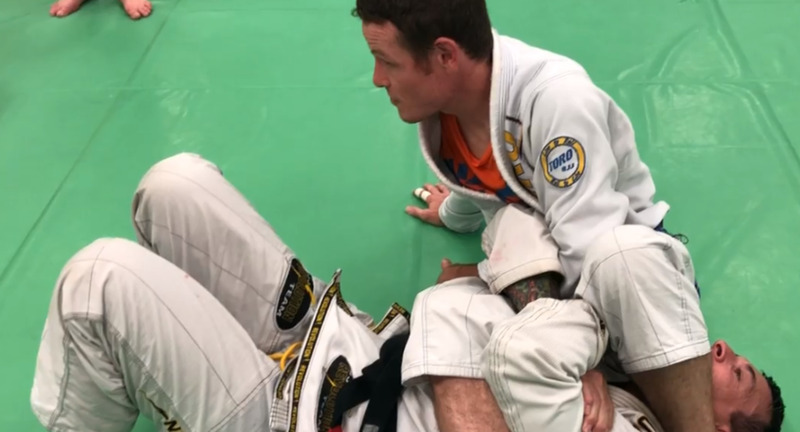 A brief BJJ tutorial on an eclectic leglock setup, the "bear trap" calf slicer, with Andrew Smith. How to pass the guard using the "leg staple" guard pass, or "same side knee drive" pass, when encountering some roadblocks. 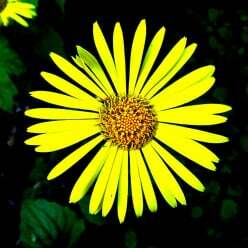 A brief tutorial on a few different ways to attack from north/south in Brazilian Jiu Jitsu. How to escape a "footlock" or straight ankle lock in sport BJJ competition or training at the gym. 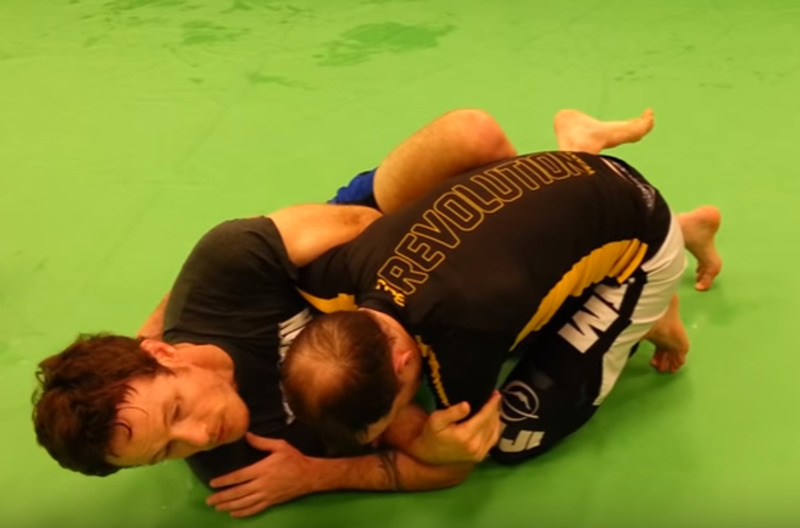 The arm triangle and the reverse armlock from the mount position is a deadly combination. 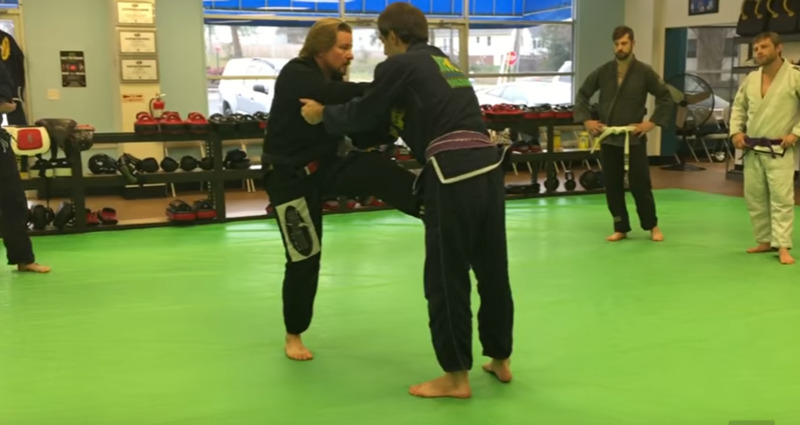 How to use butterfly half guard to sweep or submit your opponent. 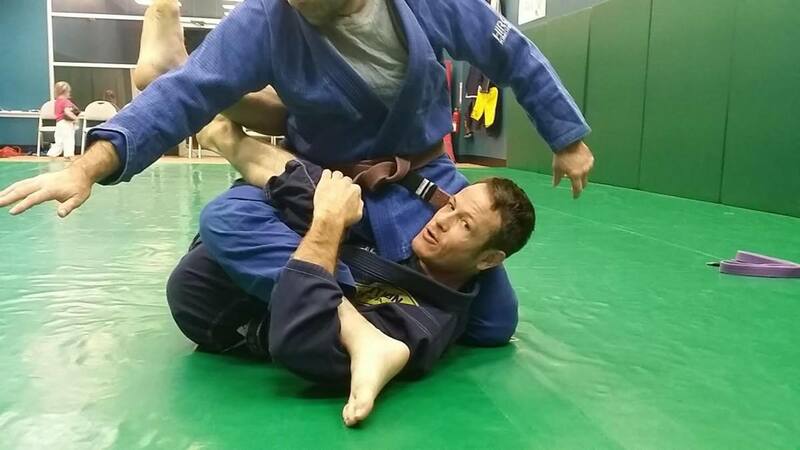 Revolution BJJ black belt Andrew Smith shows high percentage moves. 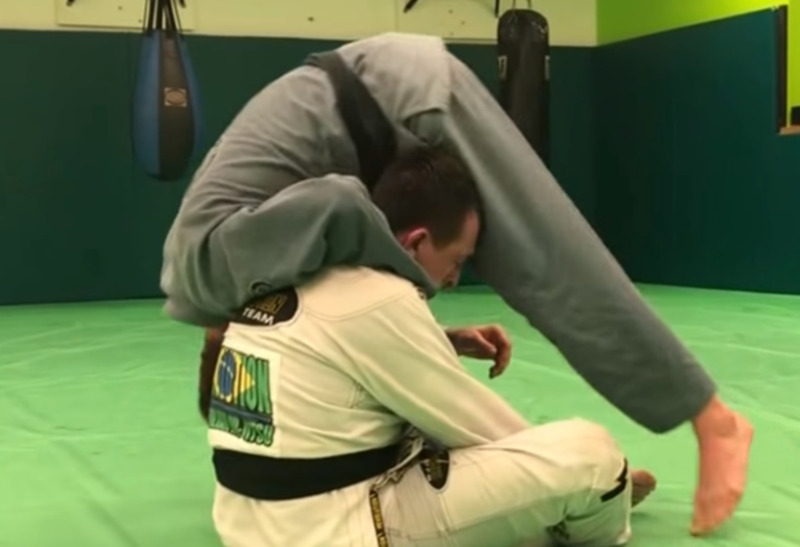 A brief BJJ tutorial on how not to get punched when you're on your back! How to use Brazilian Jiu Jitsu to break a wrist. A basic BJJ instructional tutorial on how to pass the guard using the "knee cut" or "knee slide" guard pass technique. A brief BJJ tutorial on X-guard and how to use it to set up submissions off the sweep. 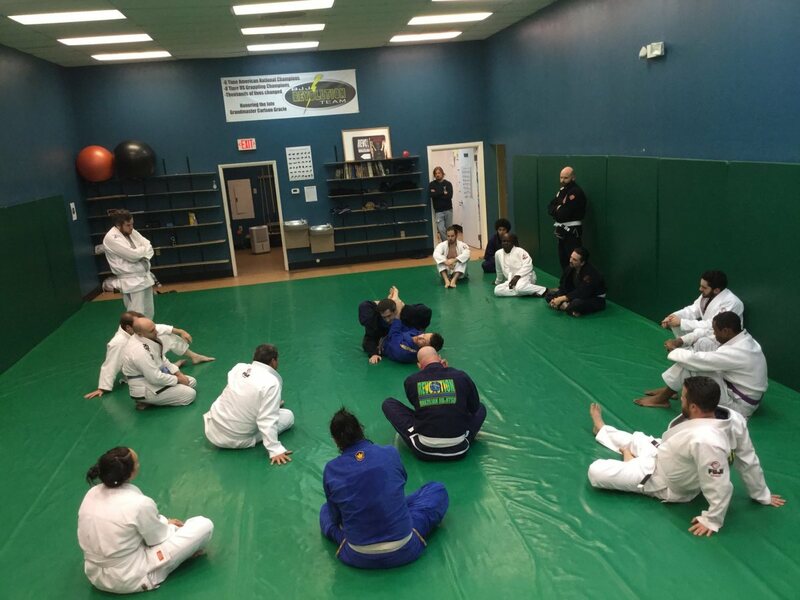 Instruction by black belts Daniel Frank and Andrew Smith of Revolution BJJ. 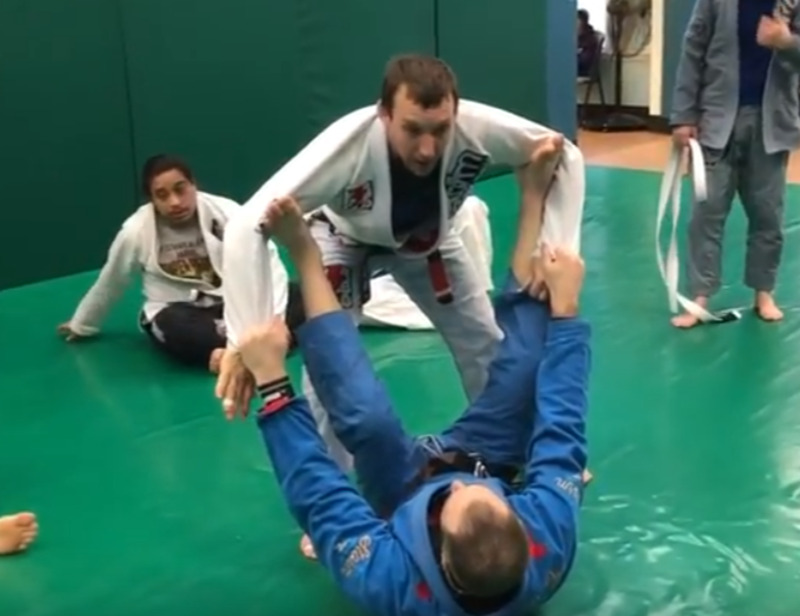 A brief BJJ tutorial on how to reverse armbar from butterfly guard, featuring instruction by Andrew Silber, Daniel Frank, and Andrew Smith of Revolution BJJ in Richmond, VA.
A brief tutorial on how to use butterfly guard in Brazilian Jiu-Jitsu. 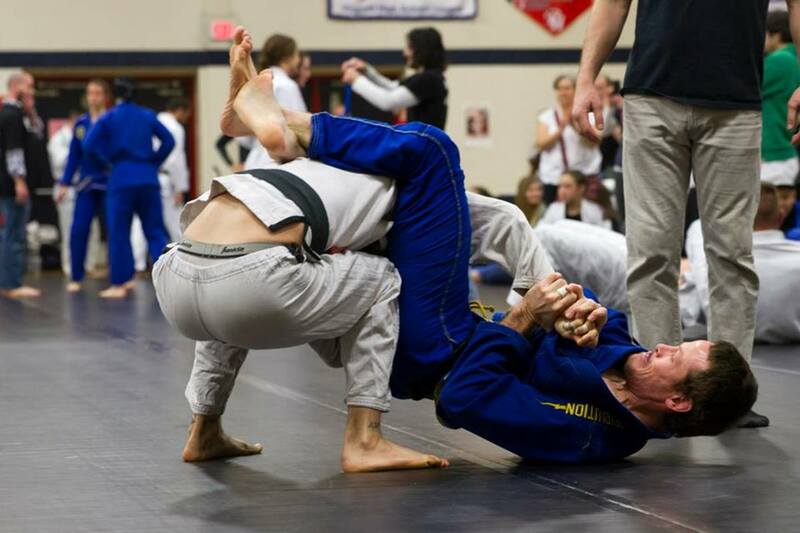 The omoplata is a classic shoulder lock submission most students learn at white belt. 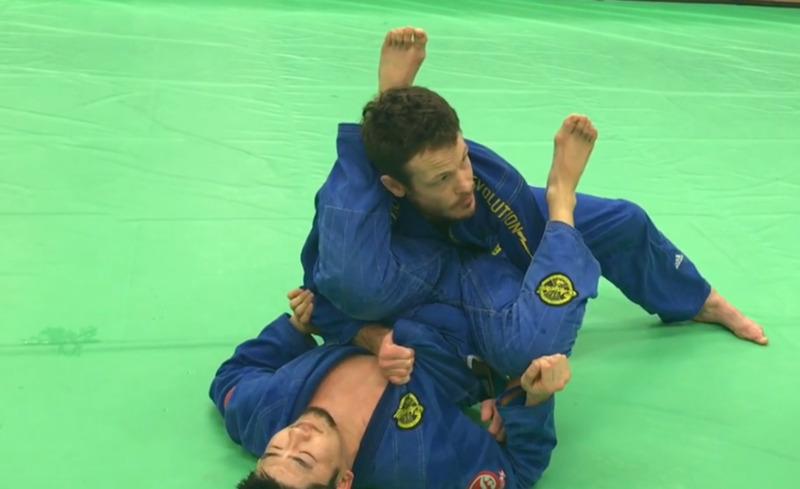 Here are some highly effective, nasty submissions from the omoplata. A brief BJJ tutorial on how to do the cross collar choke in Brazilian Jiu Jitsu. 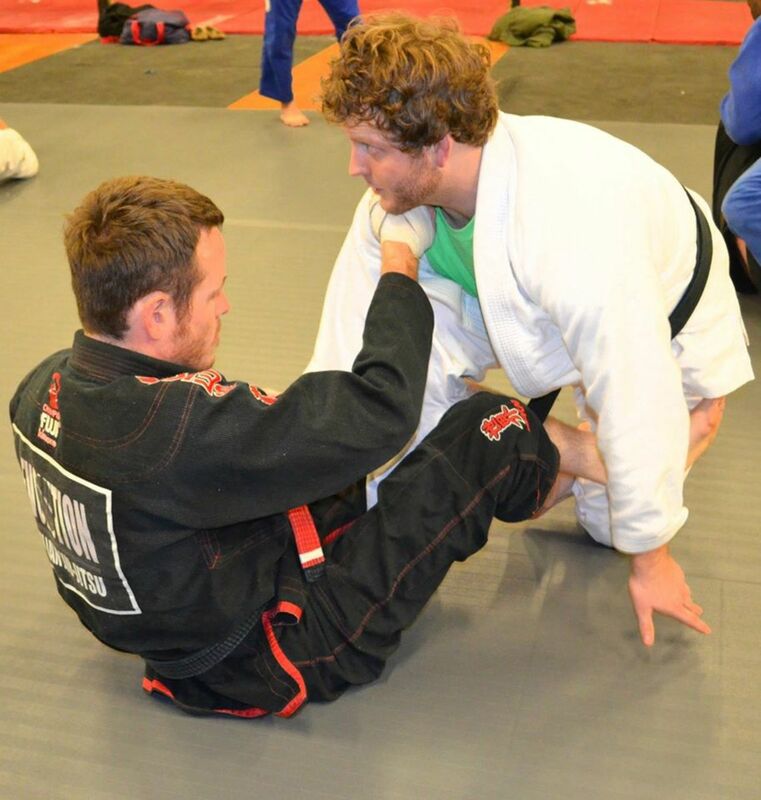 Featuring instruction from 1st degree black belt Trey Martin of Revolution BJJ. A brief instructional tutorial on how to set up a crucifix for BJJ. Some quick advice on how to use your initial grips to bring your opponent into your guard for sport BJJ competition. How to stop your opponent from passing your guard! 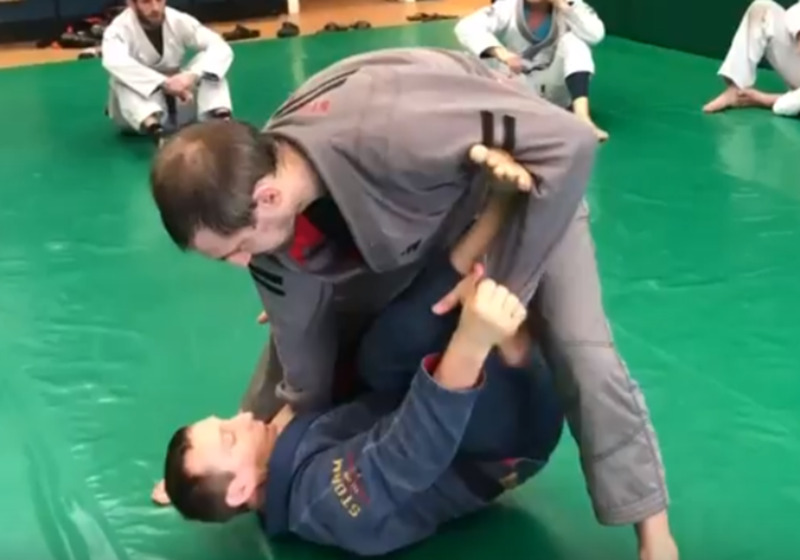 A brief tutorial on how to deal with a person standing up in your spider guard via the "Leandro Lo sweep" and other details. A brief BJJ tutorial on how to do the X-pass in Brazilian Jiu-Jitsu. Lessons by BJJ black belt Andrew "Goatfury" Smith of Revolution BJJ in Richmond, VA.
A brief tutorial on passing butterfly guard in Brazilian Jiu-Jitsu by BJJ black belt Andrew Smith, owner of Revolution BJJ in Richmond, VA.
A brief tutorial on how to deal with a person doing the "backstep pass" from deep half guard in BJJ. 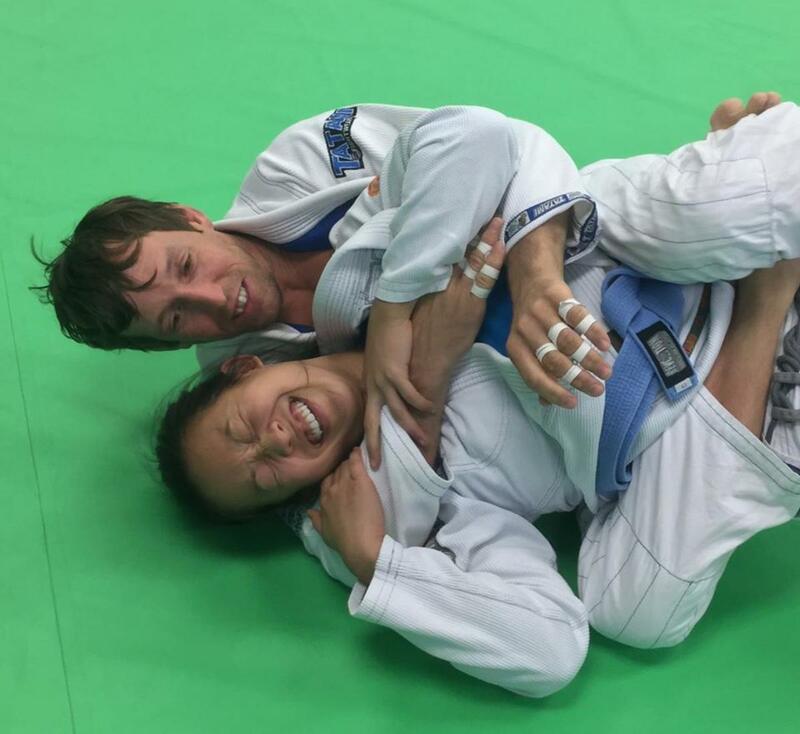 Instruction by 3rd degree BJJ black belt Andrew Smith, owner of Revolution BJJ in Richmond, VA.
How to do a wristlock in BJJ when your partner grabs their lapel. Instruction by Andrew "Goatfury" Smith, instructor and owner at Revolution BJJ in Richmond, VA.
How to touch up on the basic armbar from the guard, and make the finish much tighter. 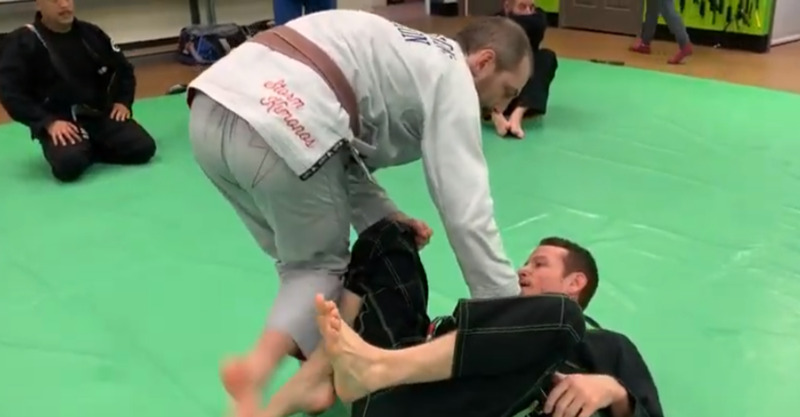 Taught by Andrew "Goatfury" Smith, owner of Revolution BJJ in Richmond, VA.
Andrew "Goatfury" Smith shows how to hit a belly-down armbar when the person stacks you from guard, and a second sneaky way to set it up. A brief BJJ tutorial on setting up the armbar from the closed guard by using the lapel "brabo" grip. A brief BJJ tutorial by Andrew "Goatfury" Smith on doing a cross-grip standing sweep into a couple of different armbar entries. 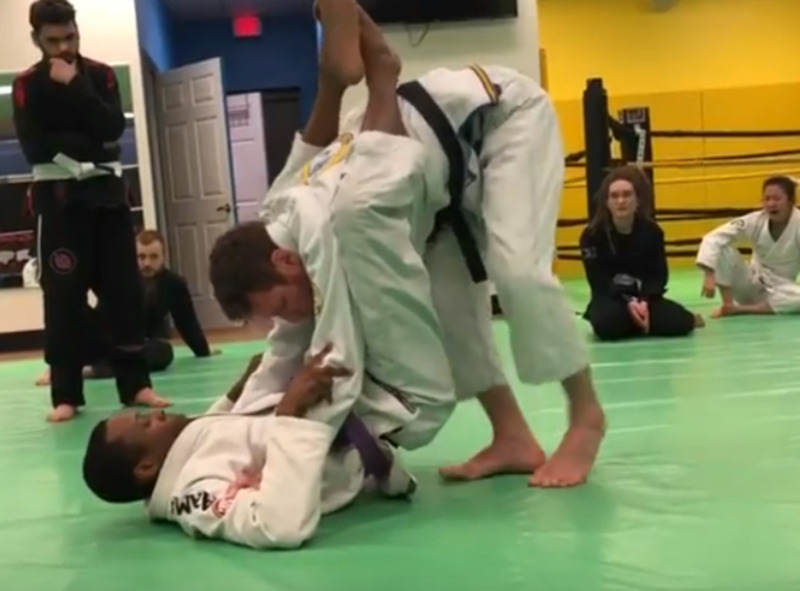 A brief lesson on how to take the back from deep half guard with Andrew "Goatfury" Smith, BJJ black belt from Richmond, VA (Revolution BJJ). 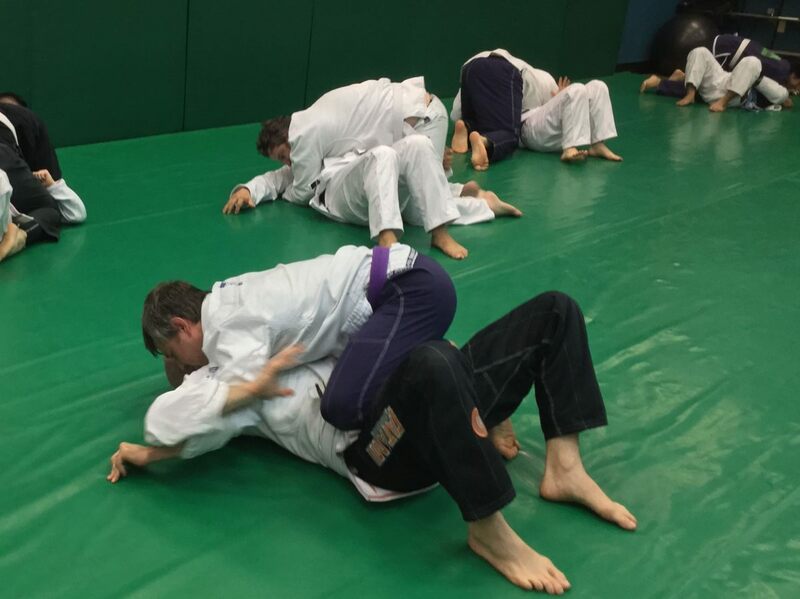 Some tips on becoming a better Brazilian Jiu-Jitsu instructor from BJJ black belt Andrew Smith, who runs Revolution BJJ in Richmond, VA.
A brief BJJ tutorial on escaping "twister side control" in transition and taking the back in your own right. 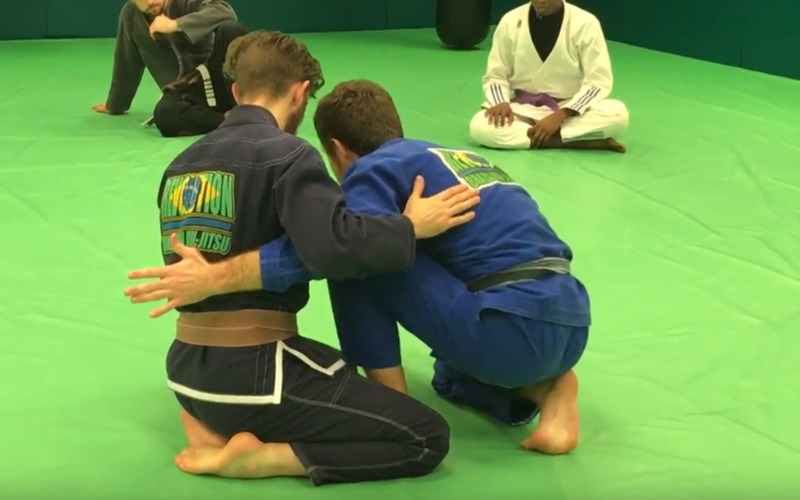 A basic BJJ tutorial on how to set up worm guard using the lapel and how to do a quick sweep to mount, featuring Daniel Frank from Revolution BJJ. 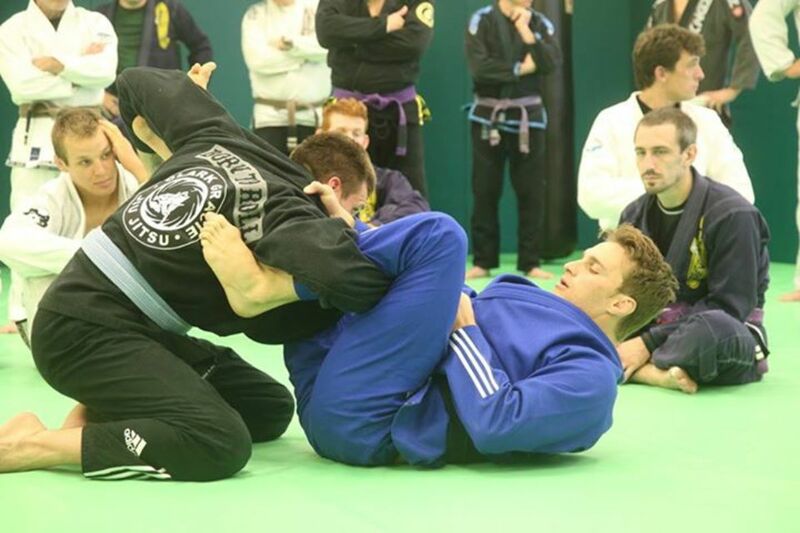 Andrew "Goatfury" Smith (second degree BJJ black belt) shows some basics for a leg drag guard pass to the back. 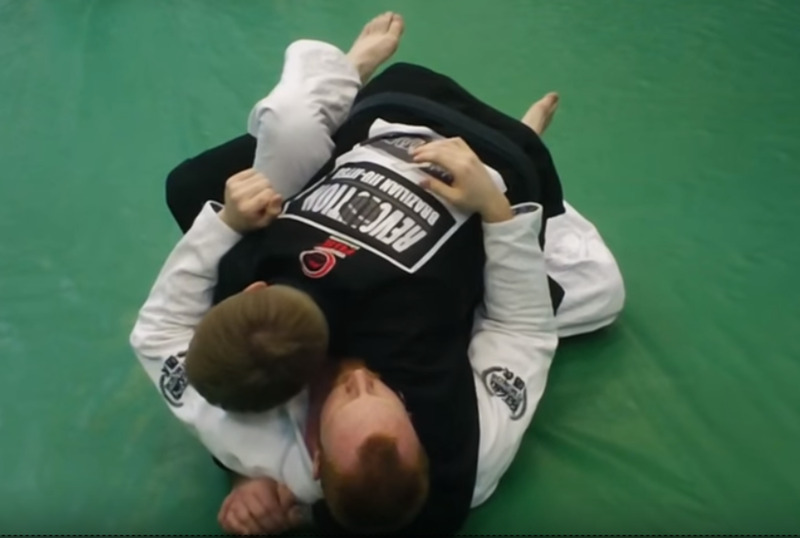 A brief BJJ tutorial on how to take the back using the Kimura grip from standing, and some troubleshooting details from 2nd degree BJJ black belt Andrew "Goatfury" Smith from Richmond, VA.
A brief BJJ tutorial on how to finish armlocks, shoulderlocks, and wristlocks while you have the triangle position. A brief BJJ tutorial on setting up Shawn Williams guard and rubber guard, and a couple of high percentage submissions. 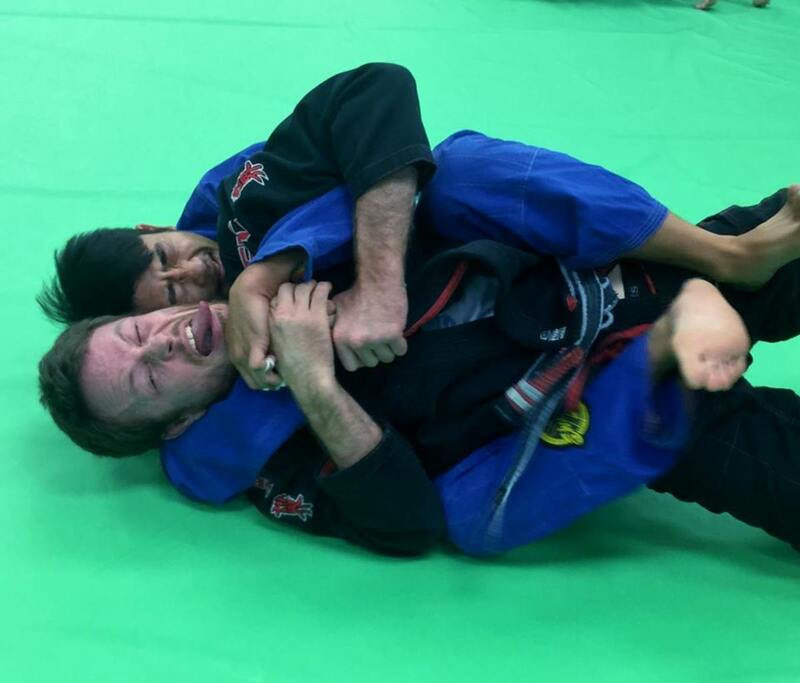 A brief BJJ tutorial on how to set up omoplatas and triangles from the lasso guard. A brief tutorial on how to setup an omoplata from a triangle, from closed guard, and from lasso guard. A brief BJJ tutorial on how to hit a spinning armbar from the bottom when the person tries the Kimura, and how to counter it. A brief tutorial by Andrew Smith on how to counter the spinning armbar when you have a Kimura grip on the bottom. A brief tutorial on how to escape a back take during the transition from turtle, once your opponent has your lapel or underhooks. 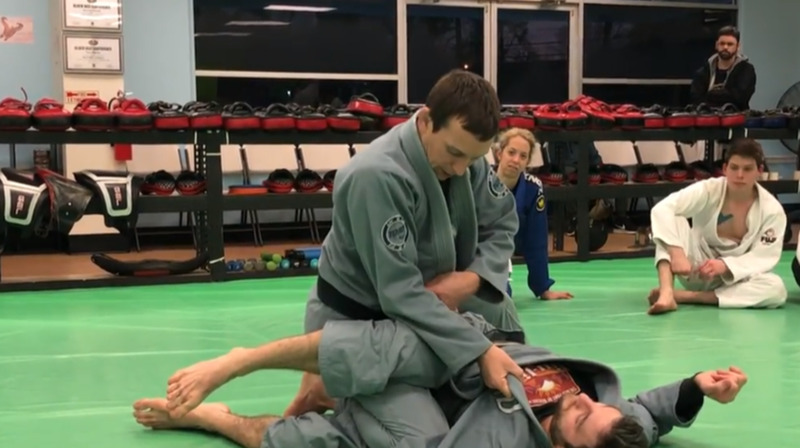 A brief BJJ tutorial on how to set up omoplata from lapel guard. 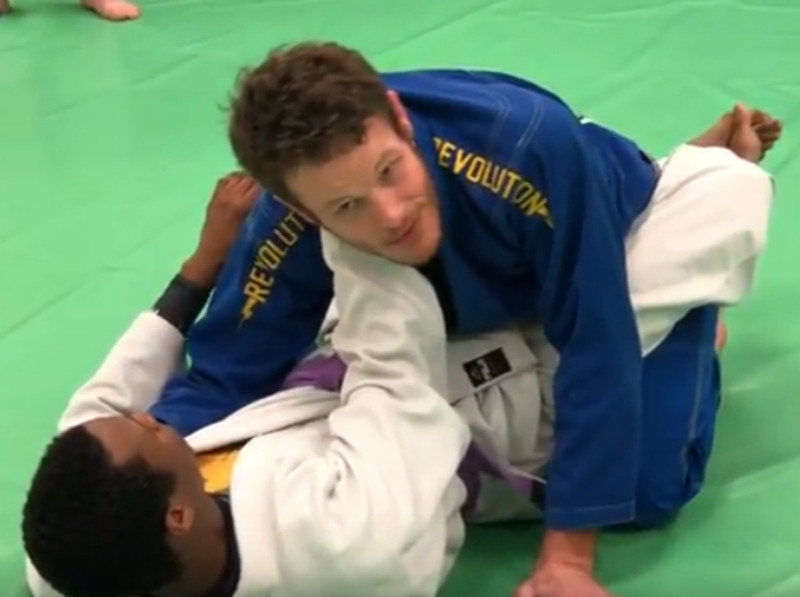 Video with Daniel Frank, black belt instructor at Revolution BJJ. Words by Andrew "Goatfury" Smith. A brief tutorial written by BJJ black belt Andrew "Goatfury" Smith and with video from Daniel Frank at Revolution BJJ. 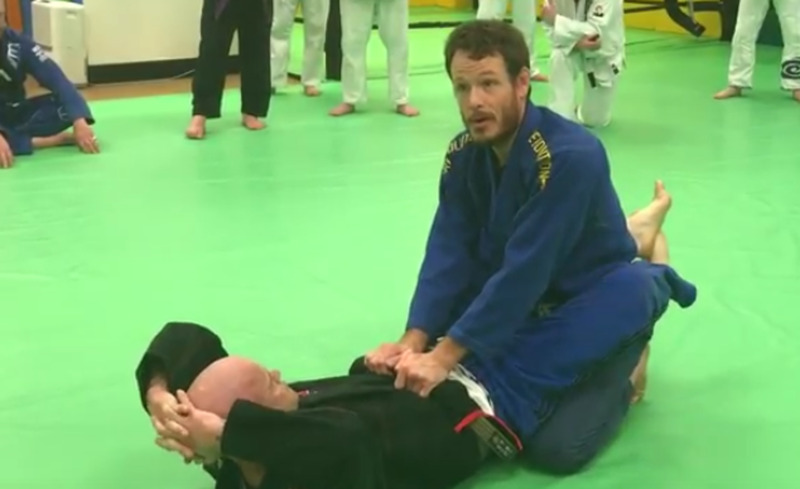 A brief tutorial on how to set up the "monoplata" submission by BJJ black belts Andrew Smith and Daniel Frank of Revolution BJJ in Richmond, VA.
A brief tutorial on countering the ninja roll back take in BJJ by Andrew "Goatfury" Smith, instructor at Revolution BJJ in Richmond, VA.
A brief BJJ tutorial on a few different ways to establish S-mount (and get the submission), featuring BJJ black belt Andrew Smith from Revolution BJJ in Richmond, VA.
A brief tutorial on how to transition to S-mount and finish the reverse armbar and straight "juji gatame"-style armbar by Andrew Smith, a 3rd-degree black belt based in Richmond, VA.
How to finish a triangle choke in BJJ, taught by 2nd degree black belt Andrew "goatfury" Smith. A brief tutorial by Andrew "Goatfury" Smith on the cross-grip arm-drag series from closed guard. Andrew is one of the owners of Revolution BJJ in Richmond, VA.
How to a highly effective, low risk "pants grab" sweep from closed guard. 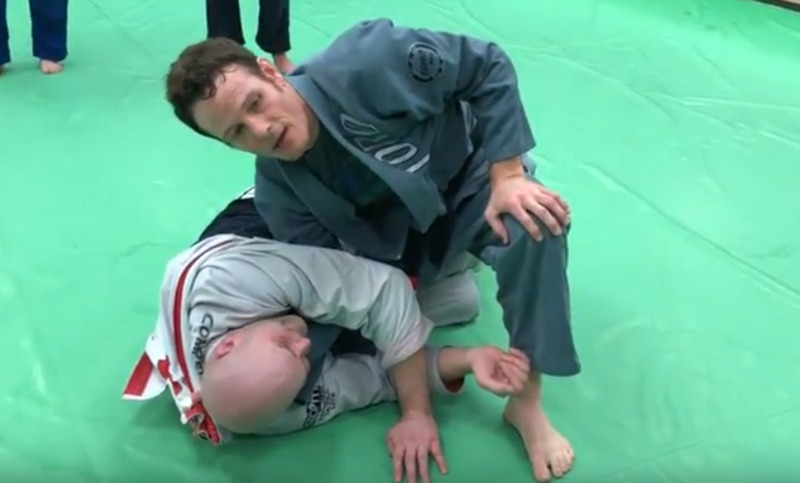 Andrew Smith of Revolution BJJ shows how to pass the "leg lasso" guard when your partner has a shallower "lasso hook." 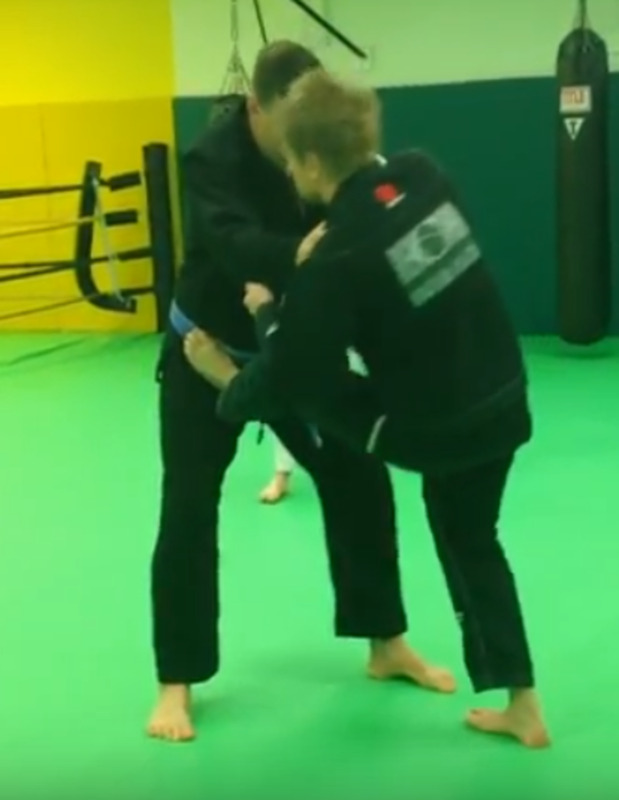 A brief BJJ tutorial on "catching the trail arm" with the Kimura grip and moving to the back! A brief BJJ tutorial on an advanced Kimura grip sequence in Andrew Smith's Kimura system called "the Trade." 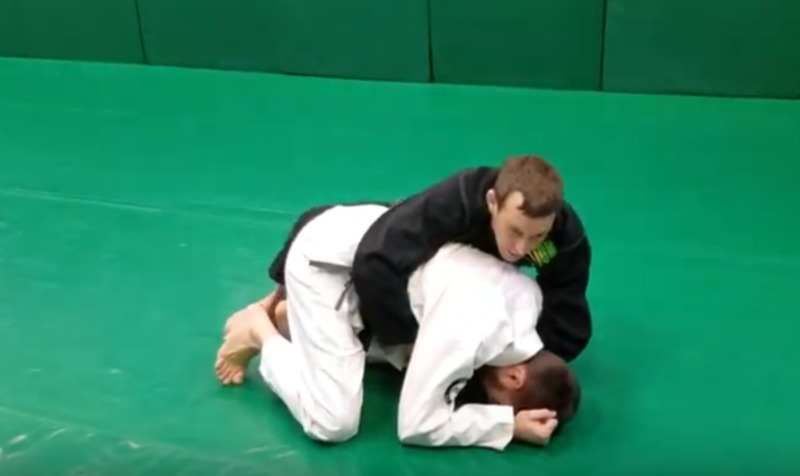 A brief BJJ tutorial on how to attack the Kimura from the bottom of half guard by black belt Andrew Smith. 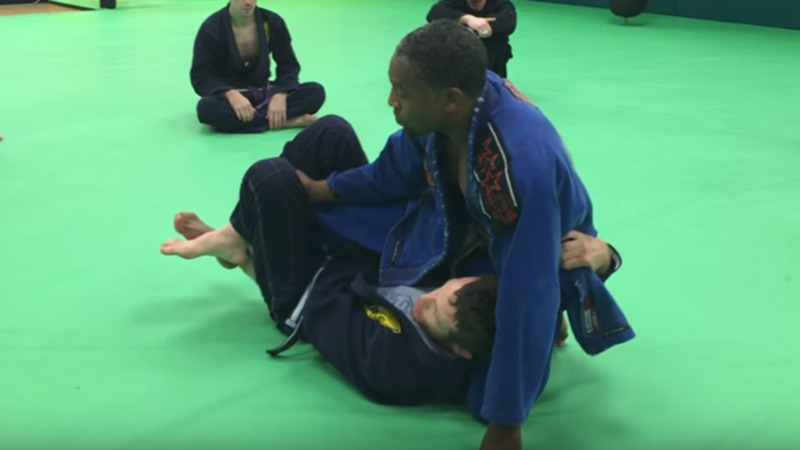 A BJJ tutorial on transitions from the toe hold leglock attack when your opponent scrambles. A basic Brazilian Jiu-Jitsu tutorial on using the De La Riva guard! A basic BJJ tutorial on how to set up and finish the toe-hold leglock submission. A brief BJJ tutorial on some late stage defenses to the "stack pass" or "double under" guard pass in Brazilian jiu jitsu. 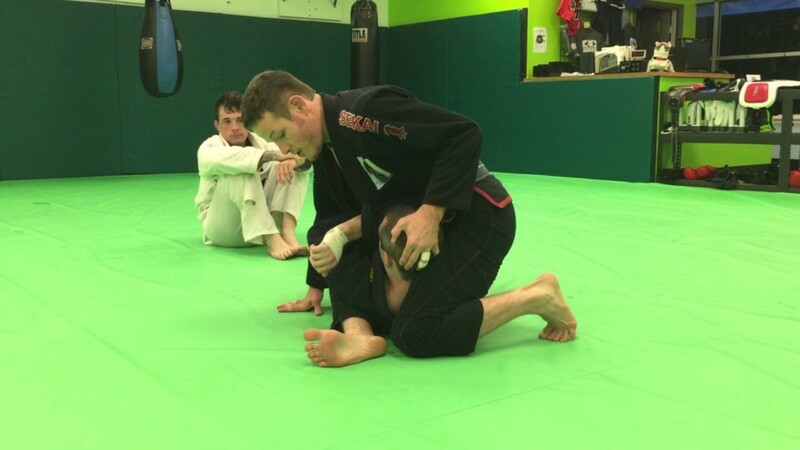 A brief BJJ tutorial dealing with the late stage defenses to the knee cut guard pass with 2nd degree BJJ black belt Andrew Smith.